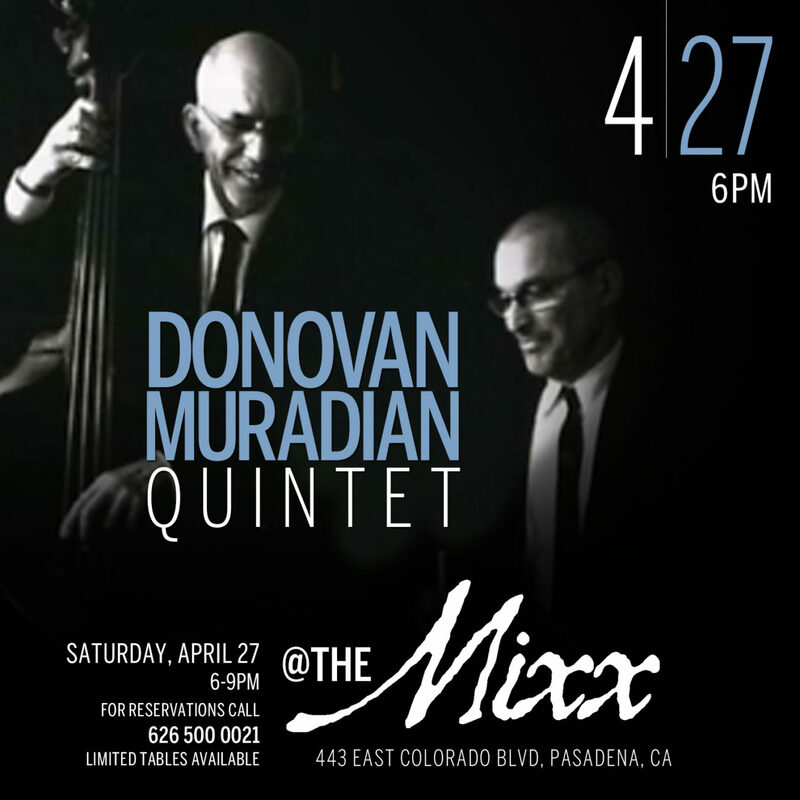 The Donavan/Muradian Quintet has been playing in Southern California for over 20 years. As LA Weekly writer Brick Wahl declares, “DMQ cooks. Always have. They are popular on KJAZZ, including songs from John Coltrane, Sonny Clark, and Hogy Carmichael plus three new originals from co-leaders Jeff Donavan and Larry Muradian. DMQ loves to play live and has been playing at a little coffee shop in South Pasadena for 18 years and enjoy exposing children and young musicians to jazz encouraging them to sit in and play. DMQ can be heard at Cafe 322 in Sierra Madre and are known to play concerts, parties and weddings, where ever they can bring their music to add to an event or occasion.